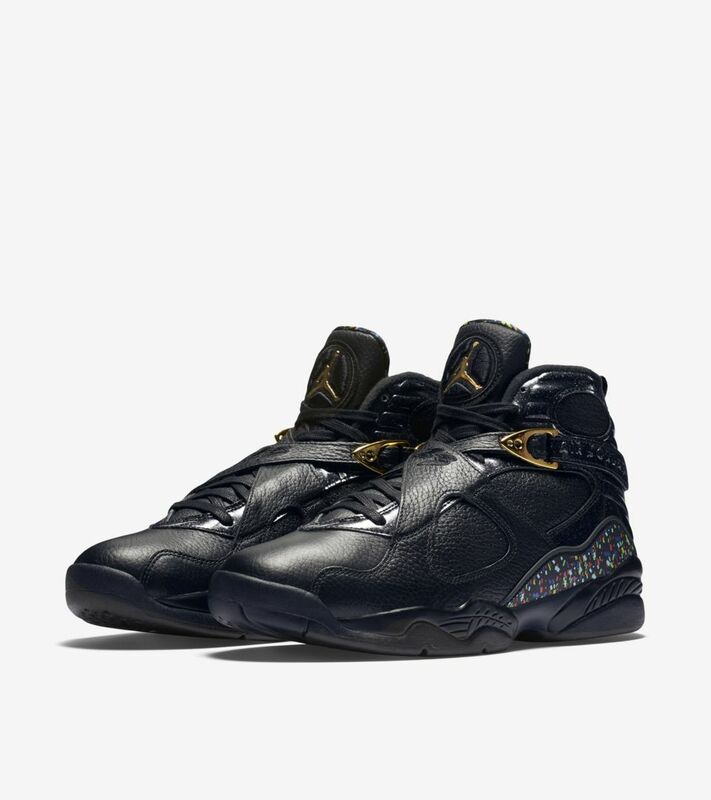 When the Air Jordan VIII arrived, MJ was well on his way to yet another title. 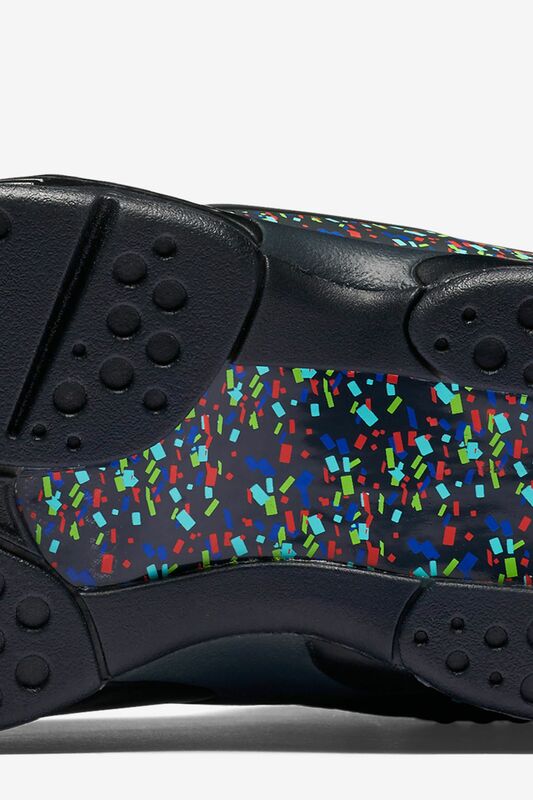 The cross-strapped icon designed by Tinker Hatfield was worn by the legend during his third championship run, and the sneaker now returns in celebratory fashion. 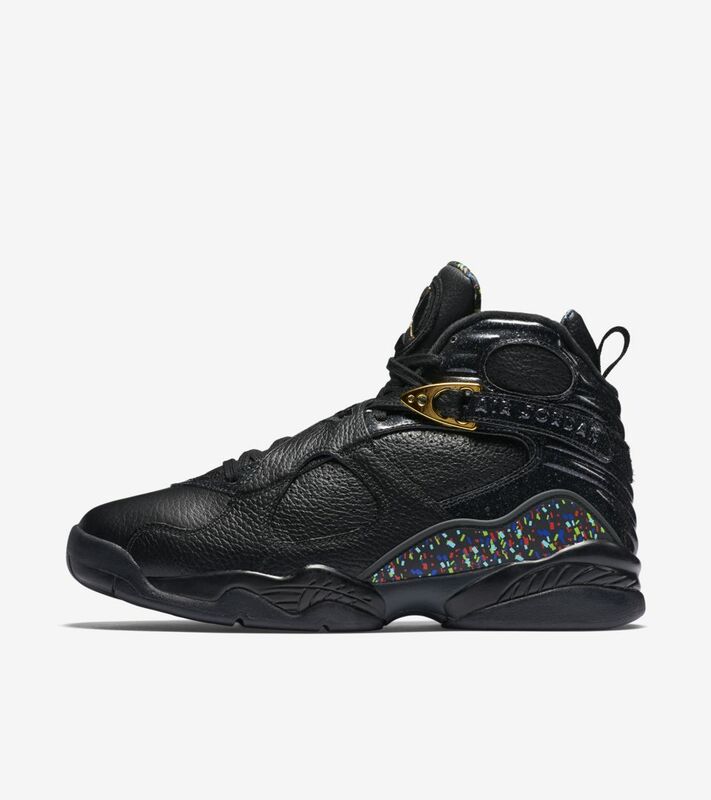 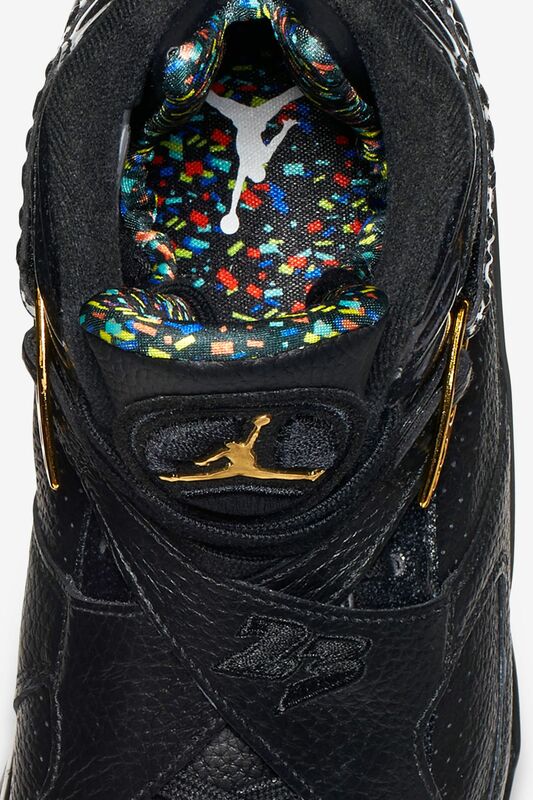 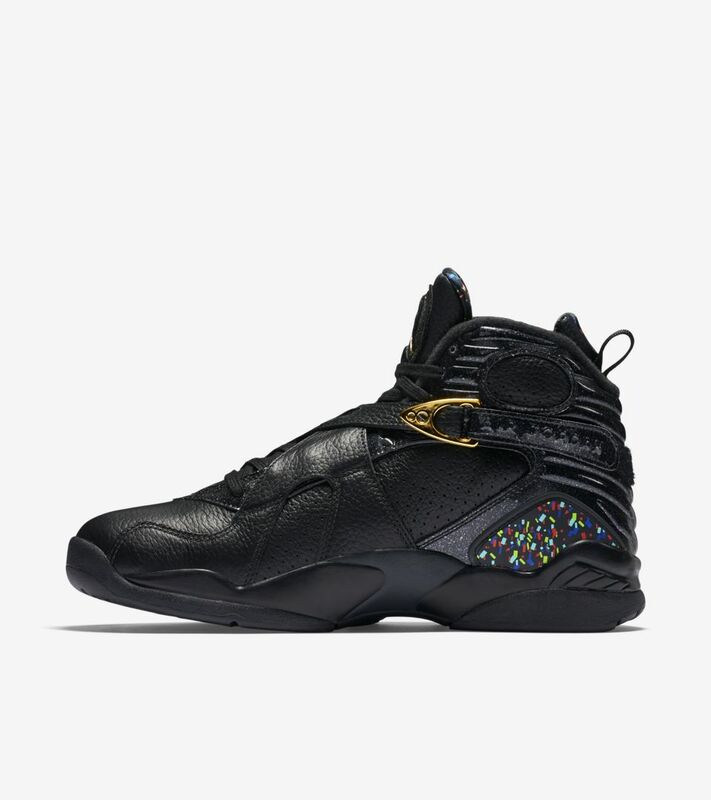 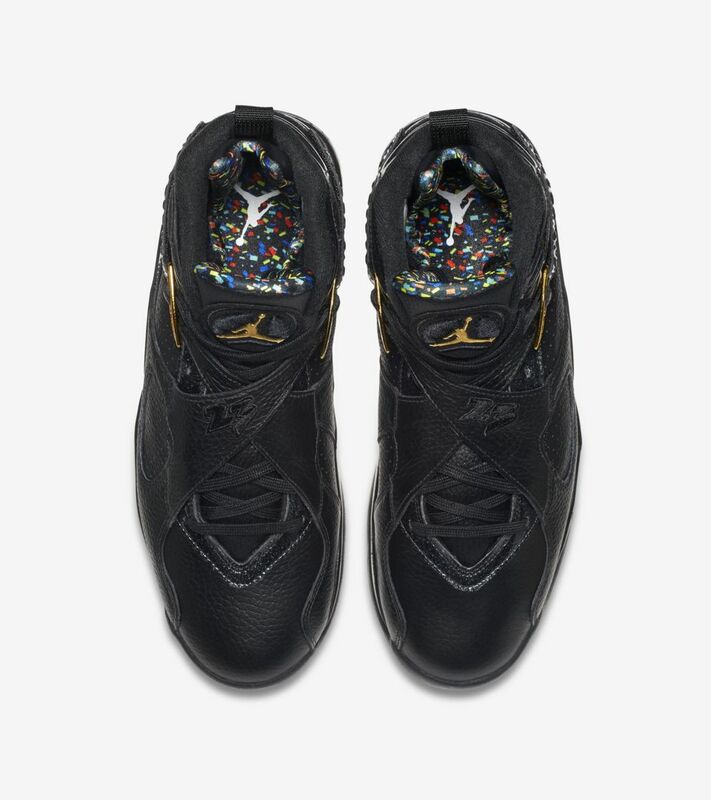 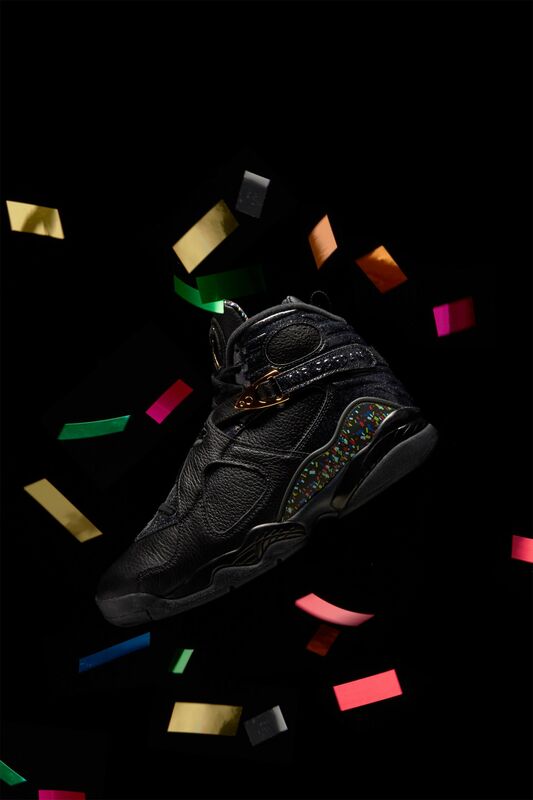 The festive take on the Air Jordan VIII comes to life with luxurious leathers and signature accents. 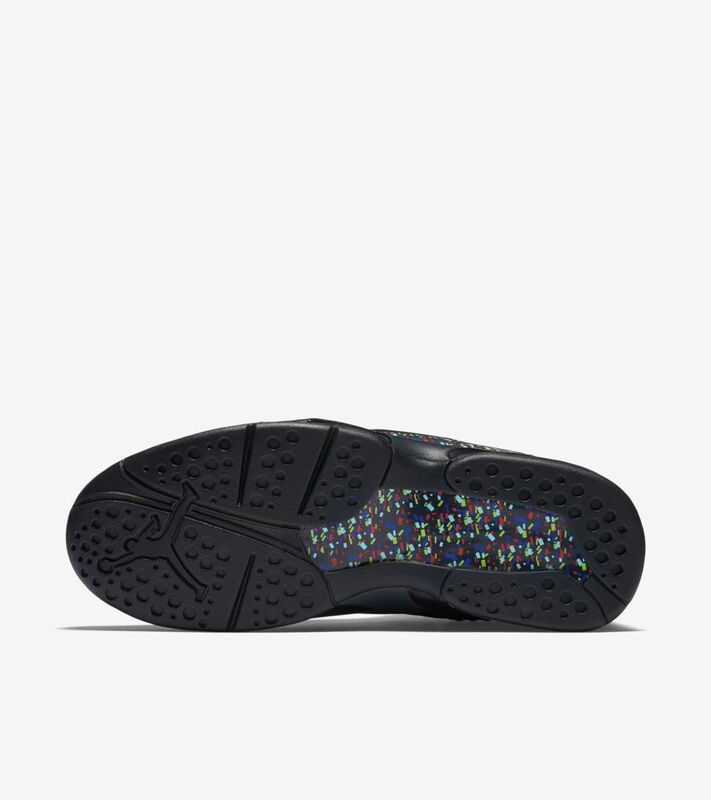 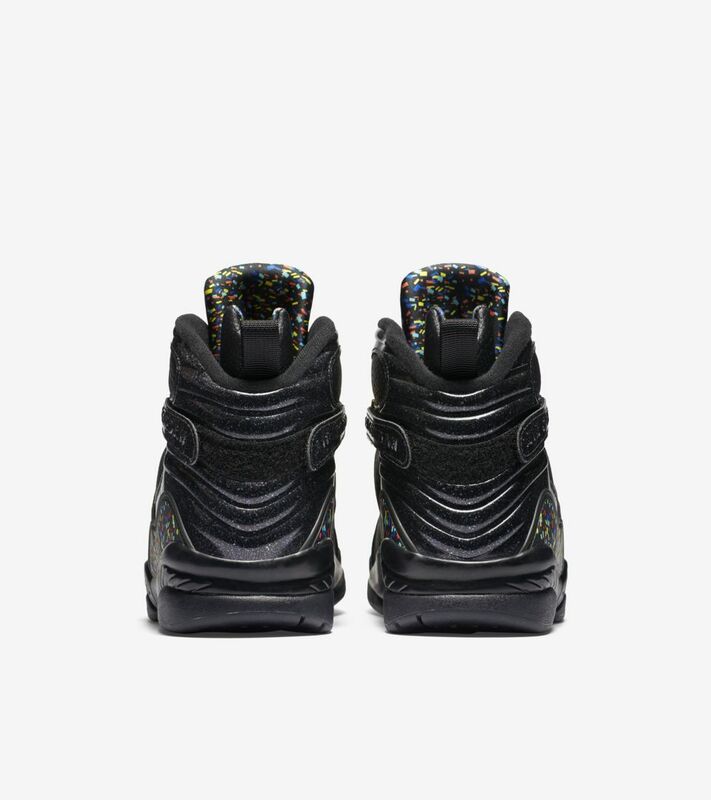 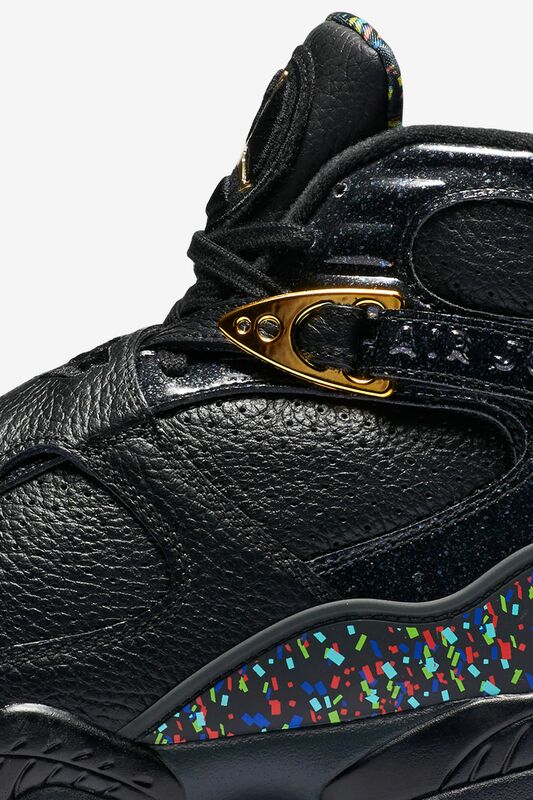 Patent leather detailing shines bright, coming coupled with confetti-inspired accents to complete the celebration.